For countless millennia the world has been subjected to an all-encompassing apocalyptic conspiracy. Through clandestine movements, a sinister secret organization has been creating a hypnotic state of conformity and control through their manipulation of the government, business, and entertainment industry. But from the shadows, a subversive group of anarchists called the Invisibles have opposed their plot and looked to create self-awareness and freedom through disobedience. Now with the fate of all mankind hanging in the balance, the secret freedom fighting cult make their final rebellious stand in the war of control versus chaos. Collects issues #1-12. From the mind of acclaimed creator Grant Morrison! 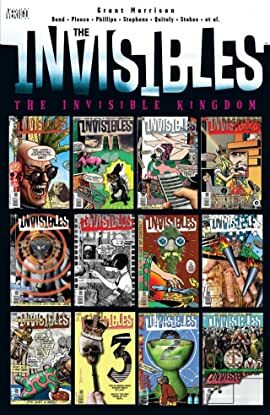 Throughout history, a secret society called the Invisibles has worked against dark forces seeking to repress humanity's growth. 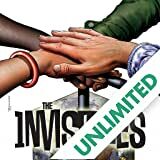 Now, the Invisibles' latest recruit, a London teenager, must survive a bizarre, mind-altering training course! 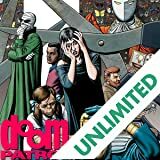 Join the team of superhero misfits known as the Doom Patrol as they tackle the strangest and most bizarre cases in the DCU! 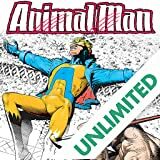 This imaginative series by award-winning creator Grant Morrison brings readers heady brew of big ideas, exotic locales, and bizarre action, featuring prosthetically outfitted dolphins in scuba gear and a hard-smoking chimpanzee in Kremlin garb. Buddy Baker is your average family man...who just happens to possess the power to absorb the characteristics of the entire animal kingdom. Award-winning writer Grant Morrison made his DC Comics debut with this existential look at one of DC Comics' classic characters! Once he was Hero of the Beach...and of the Doom Patrol. 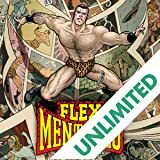 Now Flex Mentallo, the Man of Muscle Mystery, returns to investigate the sinister dealings of his former comrade, The Fact, and a mysterious rock star whose connection to Flex may holding the key to saving them both. This fast-paced tale twists super-hero tropes, introducing one mind-boggling concept after another.